Home › Kundalini Awakening › Are You Feeling the Magic? Comment: It feels like the most recent AHA and that energy is fading now, and I am settling into this new level. I was attached and fascinated by the activity in the body, and quickly became of aware of it, and am now nearly detached from it. The process seems just like you said :). Each Wednesday I go do the energy/body work with my SE practitioner, and I am feeling cleared now up to my throat. As more and more trauma gets released, I am noticing an almost magical increase in my functioning, to just tend to the obvious, to surrender former attachments to EVERYTHING, whether it’s my expectation about a situation, or ideas about my limits, or even just what I thought I would get done today. It feels more and more like flow. 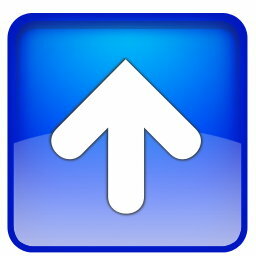 Betsy: ‘Magical increase in functioning’ is what I want to comment on. In the last weeks several people I have been having conversations with report the same thing… There is mass awakening event happening to many people right now, and it is happening FAST, like overnight or instantly. I never expected this; it is a wonder! That you are feeling this ‘magic’ means you are doing great, you are where you need to be, you have the merit, you have done the work required in correct way to be rewarded. Of course it is still a growing process; it is like integration, so your clarity will continue to increase as you work with it. Comment: I do have the sensation of repeating insights with a different level of understanding. I feel like I am learning a new understanding of the physical world now. Betsy: That’s the integration, this will continue for some time. Comment: I don’t think there is ever any end. There is, admittedly, a huge relief from the seeker energy, but that’s the only thing that feels “done”. Now the challenge is more about staying tuned in to my path so I can get more and more efficient at following where spirit leads (for lack of a better description) and not get in its way. Comment: Detox has also been challenging, feeling hung over a lot of the time, on top of being busy, kundalini weirdness, and upper respiratory infections of late. Seems like it’s starting to lift. My appetite has changed drastically – smaller meals, craving certain vegetables, eating less, no sugar, no alcohol, very little dairy, can’t tolerate caffeine AT ALL. Betsy: That is part of the healing as your vibration increases, toxins move out of skin, organs, etc. Your digestive system becomes more efficient, your weight normalizes and you just know what is good and bad for you – your tastes change. The detox feeling will pass soon. Comment: You say ONE is soon coming – is there anything else I should be doing in preparation? Betsy: Keep your eyes and ears open, trust your heart. It is happening now and you are part of this great expansion and blossoming! Betsy: I think we are in synchronization now. Comment: So far my past lives have not been revealed and I hear this often happens with realization. I sometimes have the sense that some of it is in my dreams due to repeated themes. Someone once told me about a previous life I had, but I don’t know whether I believe it or not. My interest in past lives seems to have dissolved for now. It feels really irrelevant to now, to this moment or anything I need to do. Betsy: It might happen for you, that your past life memory bank opens soon. The important thing to know about this is to NOT ATTACH to the memories in there; it will be VERY TEMPTING to do so. When this memory opens it is a very strong energy, because there is just so much energy within it. At this time, you just do same you have been doing so far to get to this point you are at now: “detach from your story”. The Past Life Story will be like a 1,000 year old story, all that which has been giving you personal identity for all those years. But the truth is this is not the real you, it is just a Story, it is only memories, it is empty of ‘being’ or ‘true life’. It is like your underlying story that we are not aware of because of the memories of ‘this lifetime’. It is like the “seed of the ego”, that which has kept us in identity ever since we came into being. You understand already the difference between ego story (of this lifetime) and just being aware, so see this old story the same way: detach from it, don’t cling to the thoughts that arise. Sure, observe what is there or what arises, but don’t go into mind-chatter mode with it, don’t attach to it as ‘being the true you’, don’t identity with it as YOU! It is wise to fine-tune or sharpen your meditation skills at this time, so you can be alert. When this ‘memory’ is opened, it is likely one will get caught in it. But when you know the information above, it will help you let go of it quickly and you won’t get trapped in it. You’ve seen how crazy we can act and the drama we can create when we attach to this life’s ego story, well just imagine how crazy and dramatic it would be if we attach to a story that encompasses many egos! Trust me; you don’t want to go there! Comment: Even though the ego sometimes identifies with this awareness as owning it, I don’t believe it is mine, but part of the ONE. I feel a slow drip of losing the witness and the identification with this experience as “mine”. I suspect this is the real source of my growing perception of feeling of freedom. 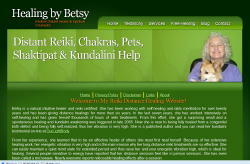 Betsy: You are seeing clearly, this is truth you can trust. We are ONE, and that is why you want to detach from the root that keeps you in individual identity: the past life story itself. When you detach from ‘this arising story’, this doesn’t mean you are losing this experience! Rather what is happening is that via Detachment, you are actually ‘converting’ this memory of all your experiences, which is a form, into energy (being or vibration). When YOU observe, it is like you are one with light, and at speed of light mass is transformed to energy. To be clear, you aren’t losing your collective past life experience by detaching from it, rather what you are doing is ‘Preserving It’, by bringing it into permanence, integrating it into your ‘being’ or ONENESS itself. When you do that, it is like you are adding your individual experience to the ONE, the only thing which is real anyway. As you merge into ONE, you become part of the whole and the witness dissolves. It sounds to me this is exactly what you are doing. The past life memory is the last merging step you need to do. You will do that when you are strong enough to do it, when you vibration level is high enough to trigger the release. If you don’t let go of these memories, you will lose everything.